Years of steady structural reforms under 4 Presidents, improved demographics, technology shifts and many other factors have been factors behind the Philippine growth story. I would like to personally thank the BSP for being a strong institution that has made all this growth a reality. 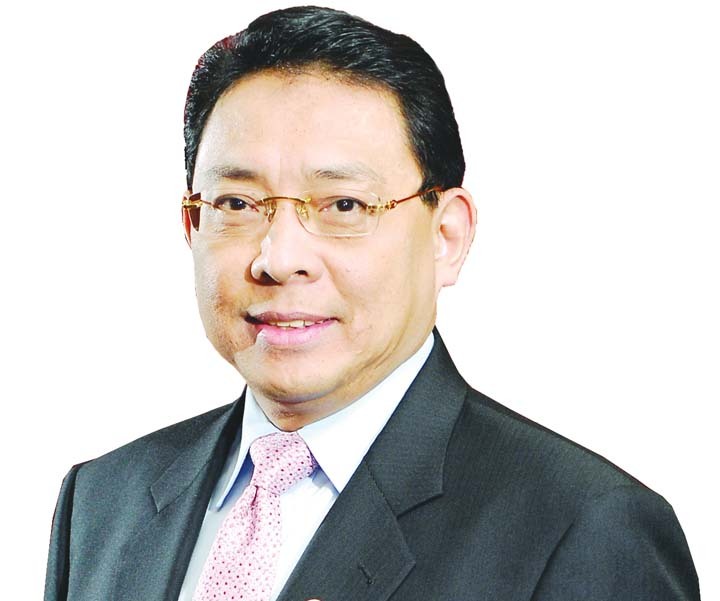 As I close this 2015 Outlook series, I believe that the best way to do so is to feature the views of one of my favorite economic icons in the country, BSP Deputy Governor Diwa Guinigundo. How I wish more and more people can learn from him which will not only give you wisdom, it will help you with your faith. I continue to see the Philippine economy performing in accordance to its higher potential capacity. Four factors support this trend that many people may not be exactly aware. One, with sustained technology application, total factor productivity has improved over the years. Two, economic efficiency has gained more traction. Three, labor market dynamics have been favorable with more educated, more trained graduates joining the labor pool. And finally, demographic factor has been supportive with more young people keeping the dependency ratio relatively low. What drove these growth-positive factors have been the twenty years of steady policy and structural reforms. These are clearly a demonstration that the Philippine Government has attained a good sense of governance. Four presidencies have continued with building institutions. If nations fail because of bad institutions, one can therefore argue that the Philippines has achieved strong resiliency because it has been heavily engaged in institution building even through the Global Financial Crisis in 2007-2009. It should not therefore be surprising if I will uphold the government target of 7-8 percent economic growth in 2015 and 2016. I see more diversified sources of growth: more investment and public spending supporting private consumption, manufacturing, construction and agriculture contributing to the growth process complimentary to services. That growth range has been achieved at some point in the past, I don’t see any reason why that should be elusive in the future. What we need to see is more infrastructure and infrastructure. With investment grade continuing to go up, both domestic and foreign investment should remain bullish about the Philippines. Infrastructure including power should remain the focus of these investments. With good supply prospects and pro-active monetary policy, helped by the decline in oil and other commodity prices, I see inflation averaging at a rate comfortably within the lower target range of 2-4 percent for both 2015 and 2016. 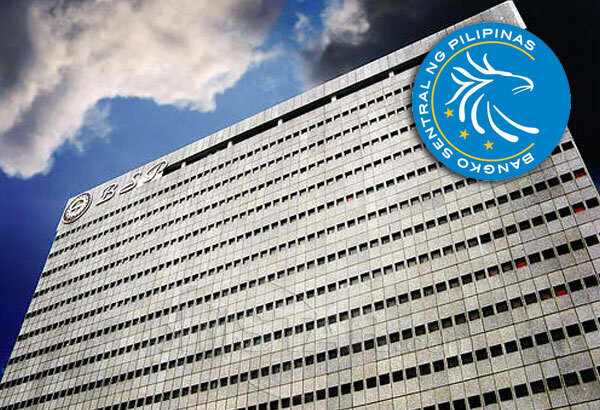 The BSP and the national government have good monetary and fiscal space, respectively, to continue promoting price stability and good public finance. On the external front, I see our initial forecast of sustained external payments surplus continuing to be broadly appropriate. The balance of payments should be able to bounce back strongly from a shortfall in 2014 to a surplus in both 2015 and 2015, with the current account expected to show increasing positive position of at least $6.0 billion. These are premised on one, recovery in the global economy but at an uneven pace. This dimension is important because unevenness should lead to divergent monetary policies. US is turning the corner so I expect it to start preparing the stage for some tightening which could result in some capital outflows in the Philippines. Europe and Japan remain soft so monetary policy is needed to be accommodative which could drive some capital to flow to emerging markets including the Philippines. China and India are the other difficult challenges with structural issues threatening to pull them down so we should see a generalized easing among many central banks. All told, the asynchronous policies could pull each other apart and generate some volatilities in the global and regional financial markets. The Philippines should be very vigilant in monitoring these developments and should be prepared to act decisively as necessary. I also expect to see our strong and stable banking system continuing to provide additional resiliency to the economy. Financial intermediation is expected to remain supportive of economic growth. With key reforms in place and expected to be pursued, market confidence should remain strong and this is something that does not come by easily. There would always be some risks even at the tail end. This is the reason why the BSP is always doing stress tests and scenario building exercises to ensure we are not surprised by external shocks. This is the reason why we have a stable of early warning systems on the key sectors of the economy including the business cycle. So paraphrasing Einstein, let me say that what is incomprehensible about the economy is that it is comprehensible. Mr. Guinigundo is the deputy governor of the Bangko Sentral ng Pilipinas in charge of monetary policy and operations, international relations and operations, currency management and regional monetary affairs. He was the Philippines’ representative at the IMF, Washington, DC as alternate executive director. Previously, he was head of research at the Southeast Asian Central Banks Research and Training Center in Kuala Lumpur. At present, he chairs the SEACEN Experts Group on Capital Flows and a member of the SEACEN Executive Committee. He sits at the NEDA Board, National Food Authority Council and National Home Mortgage Finance Corporation Board. Outside government, Mr Guinigundo is the senior pastor of a local Christian church, Fullness of Christ International Ministries, and advises the BSP Christian Fellowship. He leads in the nationwide Touching Heaven Changing Earth which aims to unite the body of Christ in the Philippines.